This “cake” blog hasn’t had a lot of cakes in the last little bit. But I hope you guys don’t mind that I’ve included some of the other foods I’ve enjoyed making. But back to real reason we’re here: CAKES! This one was a job, which I’ve been turning down lately because my husband had been living in another town because of work. But he recently got let go (sad) so he’s living with us again (happy!). So I was able to take this job when it came along. A law firm actually hired me to make a cake for a retirement party for a local county judge. They were VERY specific in some of the instructions they had. 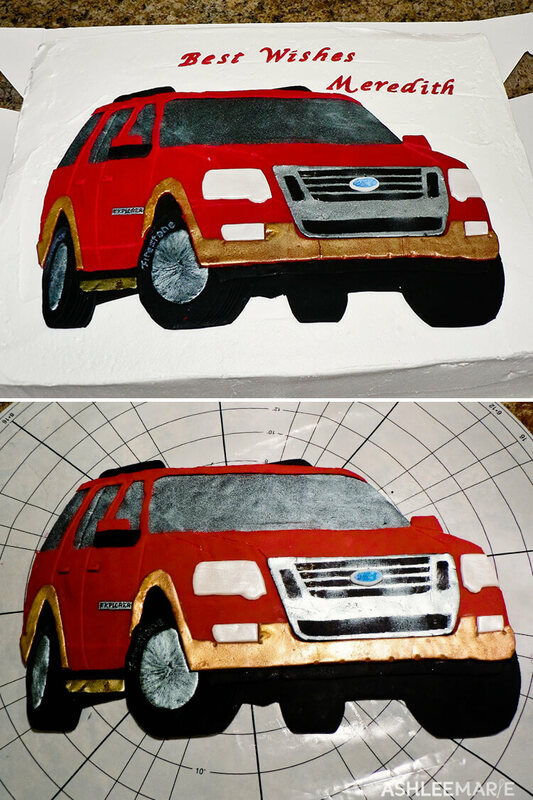 A large sheet cake with a Ford Explorer on it and Firestone tires. 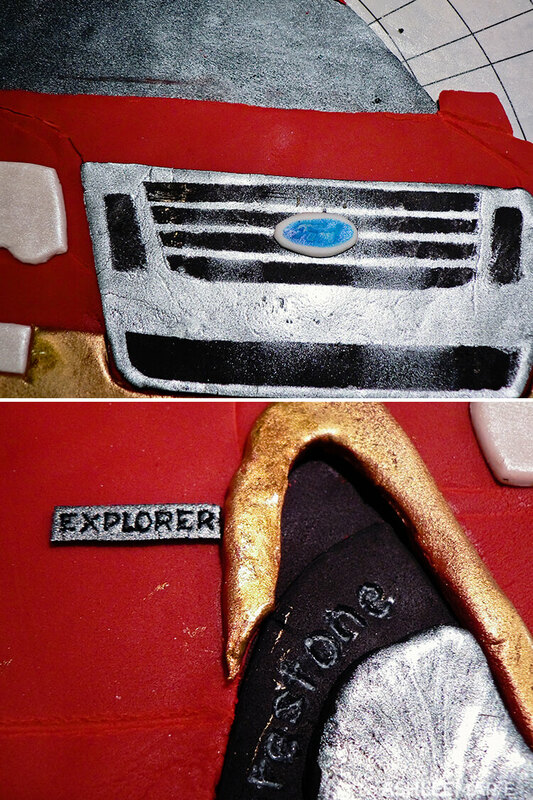 But they didn’t care about color, or what I made it out of etc… It seemed the tire was the important part, so I suggested a cute carved, fondant covered tire cake, but nope… Sheet cake. Ugh, I don’t even have a sheet cake pan. Oh well! So I found this image and decided to go for it. I decided to use fondant and layer it to create a slightly 3D look to this 2D image. The first layer was black, and I airbrushed pearl where the windows would be. Then the red layer (a real pain, I had to do it 3 times before it worked. Also the wheels. 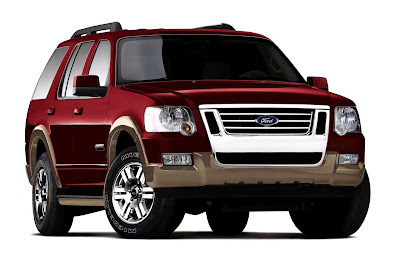 Finally the bumpers, grill, lights, handles, explorer plate, etc… And last the Ford logo! I used gold and silver and pearl airbrushing to try to make it more realistic. It took WAY too long, but in the end I was really happy with it. I ended up using a few doll hairs to make my own tiny paint brush to paint the Firestone wording onto the tires. Also the tiny explorer plate turned out GREAT! The only part I wasn’t super happy with was the Ford nameplate. In the end the perfectionist in me was pleased enough. With any cake there is always something I wish I could change, and that is certainly true of this cake. But it actually turned out much better than I originally thought it could/would! So yeah! Happy happy!